Send Dradis issues to JIRA to track and collaborate with system owners to prioritize and resolve security tasks. Use the JIRA add-on to collaborate with the appropriate system owner for remediation of security issues. 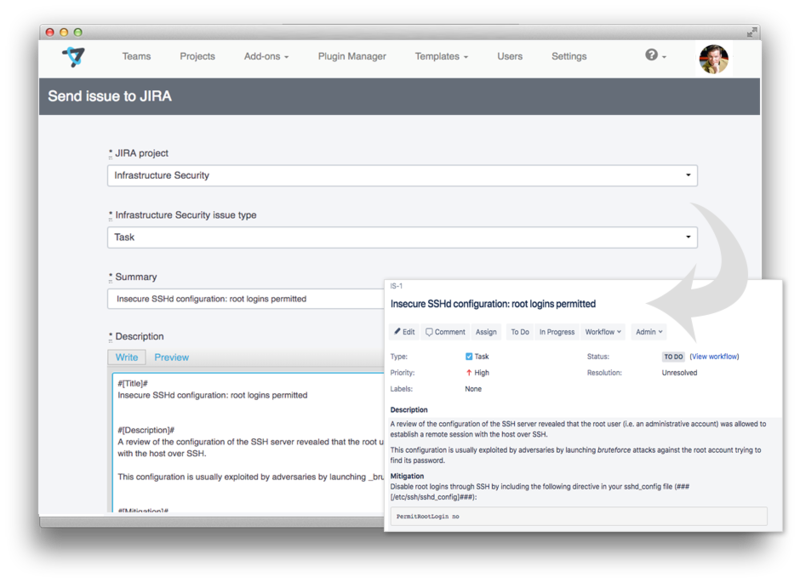 The JIRA add-on is included as part of the Remediate and Enterprise service tiers.